I really enjoy listening to Revisionist History a podcast by Malcolm Gladwell. He describes it as a podcast “about things overlooked and misunderstood.” He has covered topics like how accurate should we assume our memory is (“Free Brian Williams“), how we lost a delicious french fry because a health-shocked man spent his private fortune to get rid of it (“McDonald’s Broke My Heart“), and why we should all hate golf courses (“A Good Walk Spoiled“). I highly recommend the podcast. If you already listen to it, you might also enjoy the article, “The Delirious Happiness of Free Market Choice,” which is based on a Gladwell TED talk. [Jordan Peterson] wrote a very provocative self help book called Twelve Rules for Life. Rule number one: stand up straight with your shoulders back. Rule number two: treat yourself like someone you are responsible for helping. Rule number twelve: pet a cat when you encounter one on the street. This is typical Gladwell. He loves to say something provocatively vague like “pull the goalie” while asserting it is of the most importance; one rule worth twelve rules. Then, he builds the tension throughout the episode until the final punch line moment when you realize what exactly he meant in the beginning. It is everything my grade school teacher’s taught me not to do in my papers. “Put your thesis first, Megan. Don’t punchline your pieces.” That is why my article will be much less suspenseful than the original episode. If you want to go through the powerfully spoken emotional punchline along with Gladwell in his podcast, I recommend you stop and listen to it. I’m going to ruin the punchline. In the episode, Gladwell mostly interviews Clifford Asness and Aaron Brown, two hedge fund managers who wrote a thought piece titled “Pulling the Goalie: Hockey and Investment Implications.” Pulling the goalie is a hockey concept. When you are really far behind, you substitute an offensive player for your goalie. It leaves the net open but gives your team a better chance of tying the game. 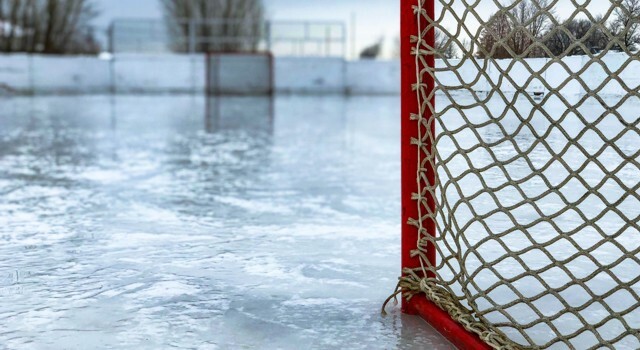 Asness and Brown found that, although most coaches pulled the goalie with a minute remaining, it is better for the team’s chance of winning if they pull their goalie with five or perhaps even eleven minutes remaining. Although this major risk might sometimes cause you to lose by embarrassingly more (like 11 to 1), it also increases your chance of tying or even winning the game against a team who is better than you. Pulling the goalie early is a contrarian choice. Crushing defeats are not fun to watch. They don’t make the players happy. They don’t make the fans happy. Even if pulling the goalie earlier is the mathematically right risk to take, people will blame the coach who loses 5-0 when he could have only lost 1-0 without the risk. Gladwell uses this mathematical hockey strategy metaphorically in his one rule to mean: Do what is right not just what others want. Disagreeable, which is not the same as obnoxious, is the quality of not being depended on or particularly interested in the approval of others. …I am agreeable I am interested in the approval of others I am the opposite of [Clifford Asness]. …If we were to create a disagreeable the scale, where zero is like a golden retriever and ten is Mister Spock, Cliff Asness would be a solid seven. Aaron Brown is an eight. Disagreeable is a technical term in psychology used to mean the quality of acting without seeking the approval of others. It is one of a psychologist’s “Big Five” of human personality. I first learned about the Big Five during my Cognitive Science major studies and the short of it is: I’m very critical of the Big Five, and I would guess Malcolm is too. In the Agreeable – Disagreeable dimension, agreeable is described as “Altruistic, Trusting, Modest, Humble, Patient, Moderate, Tactful, Polite, Kind, Loyal, Unselfish, Helpful, Sensitive, Amiable, Cheerful, Considerate” and more. “Not all people who are disagreeable are cruel.” Ouch. Malcolm Gladwell is covering this topic for Revisionist History because disagreeableness is “overlooked and misunderstood.” Disagreeableness is viewed as “cruel” and “antagonistic” yet sometimes being disagreeable — meaning acting in a way that is risking societal judgement — might be the virtuous act. Gladwell’s thesis of the podcast is modest: Sometimes you should be disagreeable. Sometimes you should do what is right even though it is not what others want. This is in opposition to the language of modern personality psychology though, where agreeableness comes with all the positive trait synonyms and disagreeable comes with all the negative trait synonyms. “Callous, blunt, rude, ill-tempered, antagonistic, and sarcastic” does not sound like it could ever be virtuous… but it is. The fiduciary standard is disagreeable. The fiduciary standard is a principles-based standard which often requires literally disagreeing with the client. A parrot, although agreeable, is a bad advisor. The best advisors are people who are usually right and hold strong opinions. This is why the fiduciary standard calls you to disagreement. After putting in the time and utilizing your expertise to get the right answer, you must be disagreeable. You must do what is right even if it is not what others want. Sometimes the best advice is when a competent advisor tells you that you are wrong. When they protect you from “The Big Mistake” and stand as strong opposition in the face of pressure. It can feel blunt, cold, and calculated, but it is also virtuous and in your best interest. We have disagreeableness baked into our Tenets of Customer Service. Accuracy and clarity come before empathy, because our first priority is to clearly tell you what is right. Empathy comes next so that our strong opinions are communicated with tact and heart. However, disagreeableness must come first at the core of our standard because it is in our client’s best interests. Do what is right not just what others want. Be disagreeable when you need to be disagreeable. Pull the goalie.